Tourists, what can you say? Ah, tourists! 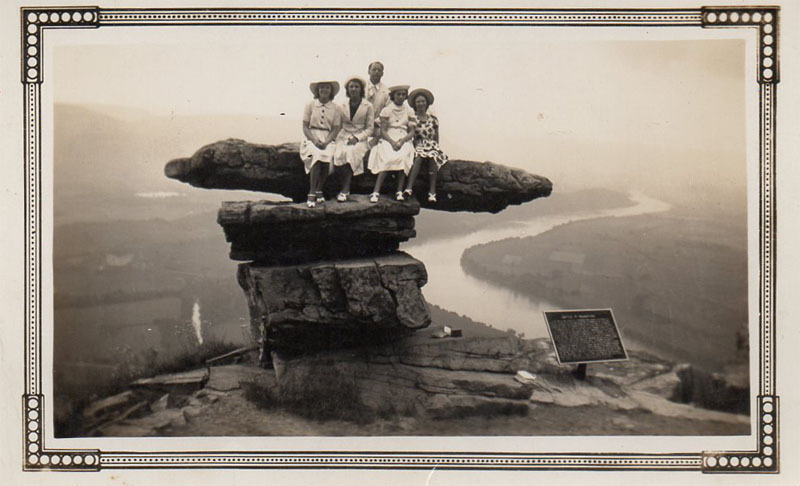 What appears to be a nicely dressed family all perched atop umbrella rock on Lookout Mountain in Chattanooga. Probably much giggling going on. Notice that in the picture there is only one sign. The postcard image shows three. I think the picture is from the 1900s and the postcard from the 1940s. 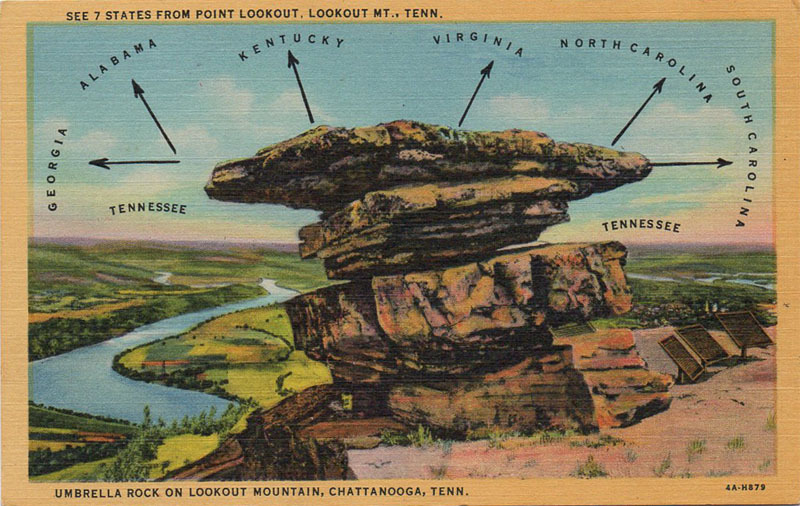 Posted in Existing photo processed by Bob Lawrence and tagged Chattanooga TN, Lookout Mountain, Umbrella Rock. Bookmark the permalink.